State of the Art Operator Console. 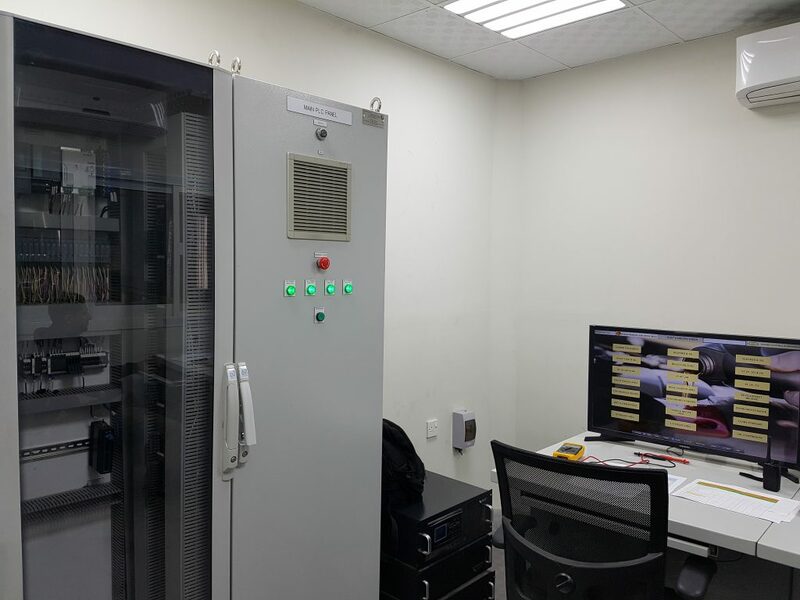 SIEMENS S7-1500 Controller based WinCC SCADA System to monitor and control of blending facilities in UAE. Following field sensors / actuators are connected to Remote IO system on Profibus Network. Dual SCADA workstations and Multiple HMI units for ease of operation Graphical User Interface makes this system special of its kind. Complete PLC / SCADA System have its backup with 10kVA UPS System.